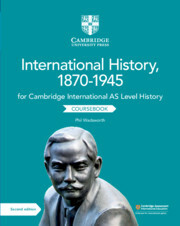 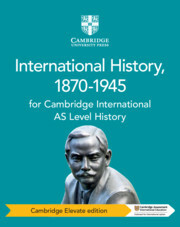 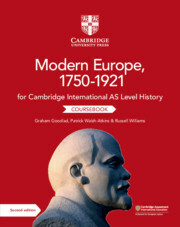 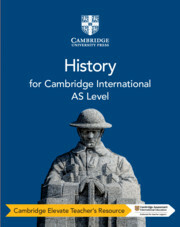 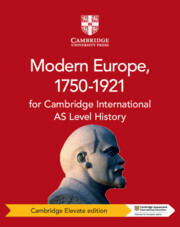 Written by an experienced author team that includes examiners, practising teachers and trainers, this series supports teachers and students following the Cambridge International AS History syllabus (9489), for examination from 2021. 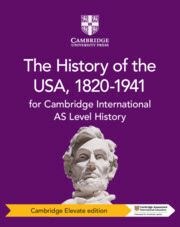 With increased depth of coverage, the series will help students build confidence and understanding in their language, essay-writing and evaluation skills, while encouraging them to make substantiated judgments and reflect on their own learning. 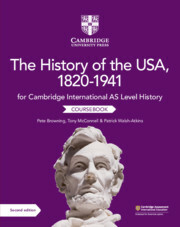 The teacher’s resource saves valuable time by providing comprehensive guidance for all three coursebooks, including teaching ideas, scaffolded worksheets, source activities, additional language support and more.